On the stroke of midnight, the Millennium Bug will go into a pub and order it’s first pint, it has been reported. The bug, which in the year leading to to the year 2000, threatened to mess with calendars and bring down planes or something, will naively buy a niche craft ale, then ask the bartender for a lager instead. No longer needing the driving license of a parent with a passport photo of itself crudely taped onto it, the bug will attempt to legally enter all drinking establishments that are still open after T minus 1200. Not standing conspicuously at the end of a bar with underage friends until someone plucks up the courage will be a new experience for Y2K, according to computer scientists from the University of London. “Hopefully, the overflow of binary information will cause all Weatherspoons to malfunction and close down permanently.” speculated Professor John Smiths from the Department of Technology. “Unlike 2000, when it didn’t bother to show up, this could end up being a blessing in disguise.”. 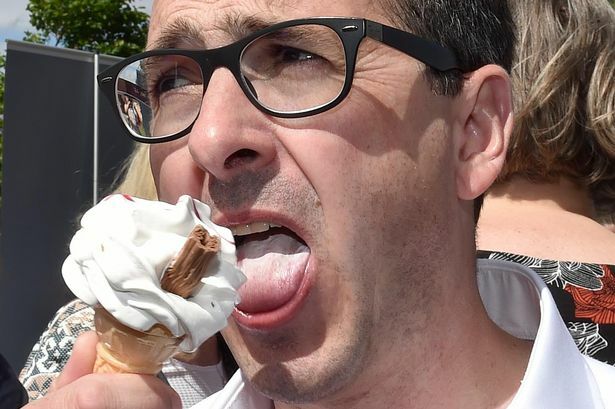 According to Labour leadership candidate Owen Smith, the Cornetto you found hidden at the bottom of your freezer was down to him. Yesterday afternoon, at one of his small gatherings he announced his policies, one of which was quite literally “free ice cream”. Smith then went on to tell reporters that he was “normal”, “not a lesbian” and “every bit as radical as Jeremy Corbyn, who let us remember, killed Jesus. But I didn’t.”. Moving on swiftly, Smith went on to complain that the leader of the Labour Party was in the leadership election at all. “I mean,, why should he be? See that feeling you get when the delicious strawberry texture melts on your tongue and the little pecan nuts gently tingle on the back of your throat? Not Corbyn. When the cone breaks away on your lips and crunches into your mouth? Not Corbyn. When you get to the bottom and the small chocolate bit makes you all thirsty again? Thirsty for….no wait….not that……has anyone noticed how Cornets are a bit smaller than they used to be? No! Come back plebs! Haven;t finished yet! The Deed Poll Office in London has unilaterally added quotation marks to the last name of the shadow foreign secretary. Speaking to us from underneath a large oil painting of Tony Benn, civil servant Barbara Tomlinson explained how they took the decision. Hillary “Benn” was unavailable for comment. Tony Blair has suggested that the crucifixion of Christ was all down to Labour leadership candidate Jeremy Corbyn. In his most recent guest column for The Daily Telegraph, he laid out in detail how Corbyn had orchestrated the whole thing by infiltrating the establishment of the time. In the article, the former prime minister also outlined that further to the execution of God, Jeremy Corbyn was also anti-austerity, loved migrants and worst of all, liked to stop wars. Jeremy Corbyn was unavailable for comment as he was doing a packed out tour of the country. Nick Clegg is still proffering his opinions openly and with no sense of futility, embarrassment or shame, say the public. Despite having lied to all of us, he still deems it appropriate to even open his mouth. said Liz, a former student from Derby. Scientists would like to examine the Lib Dem leader’s brain to study how, despite everything, the neural pathways that deal with him addressing anyone ever again, remain open. “It’s a complete mystery.”, said Dr Malcolm, lecturer in Neurological Linguistics at MIT. Max Clifford offered him some advice. Clegg was still saying things at the time of writing. Would that be too close to the bone? What colour was the ribbon? Did people clap at it’s cutting? As he stood next to the elderly volunteers? Did he look them in the face? Did the shelves swoon and stretch? The latent reek of mould descending? Did the elderly women miss it? Did the photographer capture the moment? Would he spill the beans? As soon as the photographer had lifted his finger off the button? 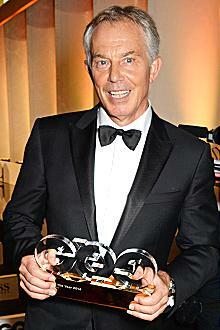 Tony Blair won no awards at an awards ceremony in London last night. It has been reported that this may be a sign that things are ‘moving in the right direction’. Master Bates, who was present with the captain at the ceremony was proud of his coworker’s achievements but was less forgiving of Blair’s presence. No one is sure when and if the former prime minister will again be invited to an awards ceremony.